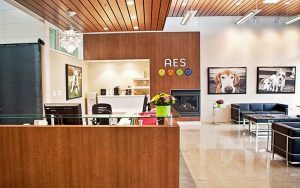 AES is excited to announce the launch of our Rehabilitation Department! 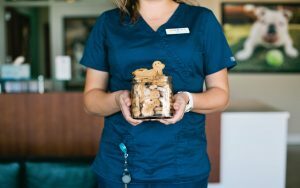 We are thrilled to be able to offer the services of a board-certified surgeon (DACVS-SA), a Certified Canine Rehabilitation Practitioner, and a Certified Small Animal Massage Practitioner to meet all of your pet’s rehabilitation needs. why choose AES for rehabilitation services? Brand new, state-of-the-art facility, offering rehabilitation services six days a week (including evenings and weekends) with drop-off options. Careful evaluation of your pet by a Diplomate of the American College of Veterinary Surgeons and/or a Certified Canine Rehabilitation Practitioner. Variety of modalities to meet your pet’s treatment objectives. Custom-designed treatment plan, including education and guidance on at-home care. Many benefits including building and maintaining muscle strength, increasing limb function and range of motion, achieving a faster and more complete recovery after injury or surgery, aiding in pain management, improving conditioning and fitness levels, facilitating weight loss, etc. In addition to the following services, the AES Rehab Team can design conditioning programs, measure and fit patients for assistive devices, and provide education and training on at-home care. 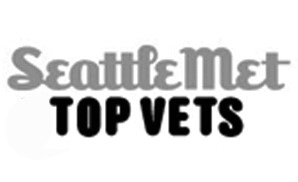 Please give our talented, compassionate Team a call to discuss your pet’s rehabilitation needs! Massage increases circulation and prepares tissue for stretching to improve flexibility or range of motion. This therapy stimulates the immune system and reduces the buildup of post-surgical scar tissue. It also eases muscle and joint pain while reducing a patient’s stress. Massage can be combined with hot and cold therapy. Heat improves muscle flexibility and circulation. Cold alleviates pain and decreases inflammation and swelling. Hydrotherapy is one of the most effective treatments for post-operative recovery, muscle strengthening, weight loss, reestablishment of neuromuscular coordination, and general conditioning. The buoyancy effect of the water helps patients to exercise with little to no impact to their joints. The hydrostatic pressure of the water also helps stabilize pets who have balance deficits. 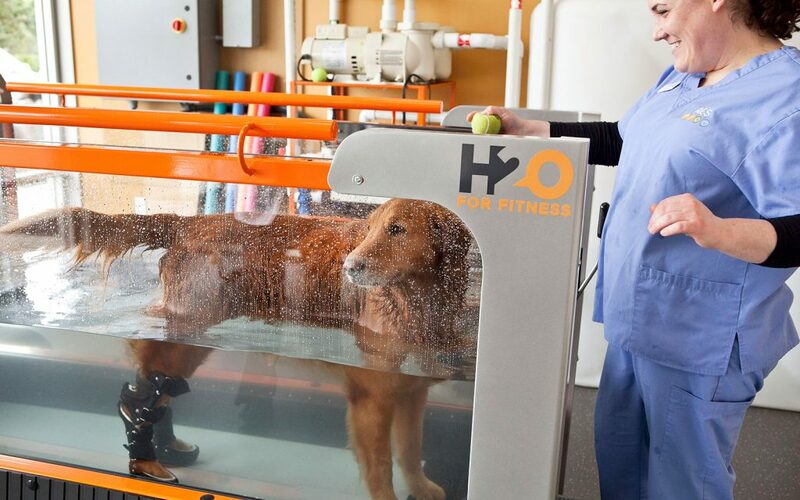 Exercise can help pets recover from surgical procedures or injuries and improve general fitness levels. We incorporate various tools such as theraballs, wobble boards, or cavalleti poles to provide specific benefits like increased range of motion, flexibility, endurance, strength, proprioception, and balance. Electrical stimulation (TENS or NMES) is used to treat muscular injuries, to prevent muscle atrophy from disuse, for strengthening, and as pain management. It works by sending electronic microcurrents to the muscle or muscles needing treatment (which causes the muscles to contract, providing passive exercise) or by overriding the negative sensation in a painful area. Ultrasound therapy provides deep, therapeutic heating with sound waves. Ultrasound can be used in treatments for pain, musculoskeletal injuries, and soft tissue lesions. It is also beneficial in the healing of delayed and non-union fractures. Laser therapy is the use of specific wavelengths of light to treat or manage a multitude of conditions including wound repair and osteoarthritis. Light enters the damaged cells and stimulates cellular activity to reduce pain and speed recovery. This is a painless treatment that can last 5 – 30 minutes, depending on the number of areas treated. Examinations: All first-time patients must have an examination. 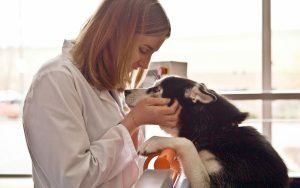 Depending upon your pet’s needs and treatment goals, patients may be evaluated solely by Sarah Campbell, Certified Canine Rehabilitation Practitioner, or jointly by Sarah and Dr. Kelci McKeirnan, DVM, MS, DACVS-SA. Therapy Sessions: Therapy sessions are charged by time, range from 10 – 60 minutes, and may include multiple modalities (e.g., laser, ultrasound, hydrotherapy, etc.). Fitness/Conditioning Sessions: These sessions include ground exercises or hydrotherapy for patients who are otherwise healthy and are undergoing rehabilitation for conditioning or weight loss. Day Boarding: Day boarding (i.e., same-day drop off and pick up) is available for your convenience.